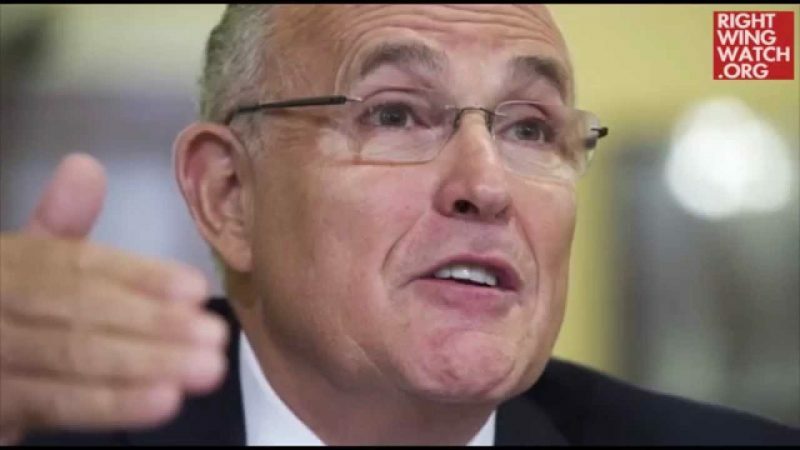 Introducing Donald Trump and Mike Pence at a campaign rally in Youngstown, Ohio, today, former New York mayor Rudy Giuliani seemed to forget that the 9/11 attacks ever took place. Later, Giuliani awkwardly spoke of Pence as if he was the governor of Ohio, not Indiana, but later corrected himself. It was just the latest bit of creative history from the Trump campaign. Trump spokeswoman Katrina Pierson recently asserted that “we weren’t even in Afghanistan” until “Barack Obama went into Afghanistan” and changed the rules of engagement in Iraq in 2004. Trump himself has described historical events that never occured.